Veckan inleddes med mycket bra matcher från det svenska laget som tog en plats i Guldserien som sjunde nation av totalt åtta, vilket var flera år sedan något svenskt lag lyckats med. När sedan finalseglingarna inleddes så dog vinden nästan helt, vilket gjorde att de svenska seglarna inte hade mycket att sätta emot mot andra lite lättare finallag. Seglingarna under de två finaldagarna hade så lite vind så att silvergruppen inte ens fick segla klart för att man skulle kunna utnyttja de få tillfällena när det kom en svag bris för att få fram en segrare. Det verkar dock som att seglarna haft mycket kul, trots de två sista dagarnas segling i extrem lättvind. Och nu vet även EM-seglarna vad det innebär att segla ett mästerskap i knappt ingen vind alls, vilket alla NM-seglare fick uppleva i Horten i Norge i somras. Lag-EM vanns av Turkiet, följt av Spanien och trean Polen. Detta inlägg postades i Okategoriserade, Team Championship och märktes Team. Today (Friday) once again the weather made things difficult. After a long wait ashore due to the rain and very light winds, the sailors were rewarded for their patience when a light wind arrived in the afternoon. 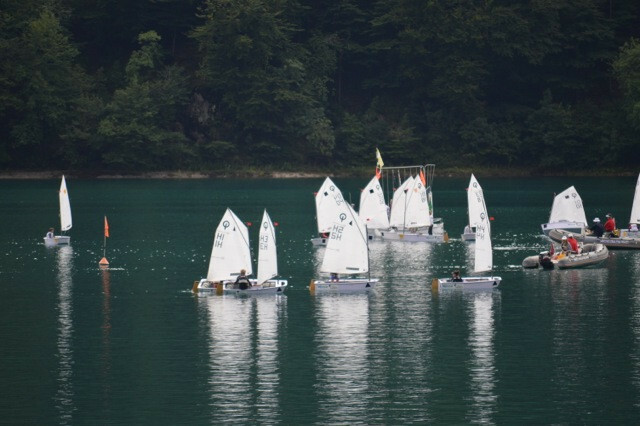 The Race Committee set up the course and completed three flights for league C, one for league D, and started the second flight but only one match was completed. In league C, TUR and ESP won all their matches, GBR and CRO won two and RUS won one. TUR is performing really well and are still the leaders. ESP is now second followed by POL. League D could only finish one flight, BEL having three wins. The schedule for tomorrow (Saturday) will be published in the morning, hopefully the weather will be kinder. 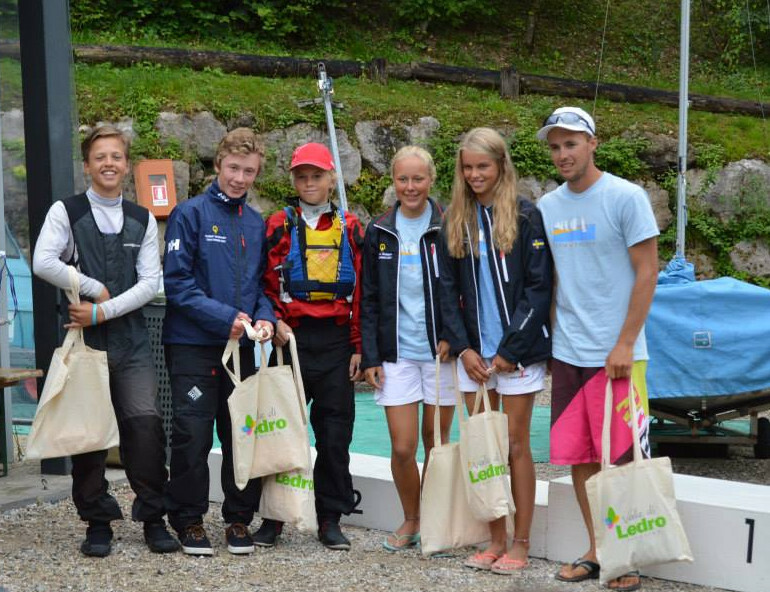 Detta inlägg postades i Okategoriserade, Team Championship och märktes Lago di Ledro, No wind. Good weather arrived after two days of rain and cold. 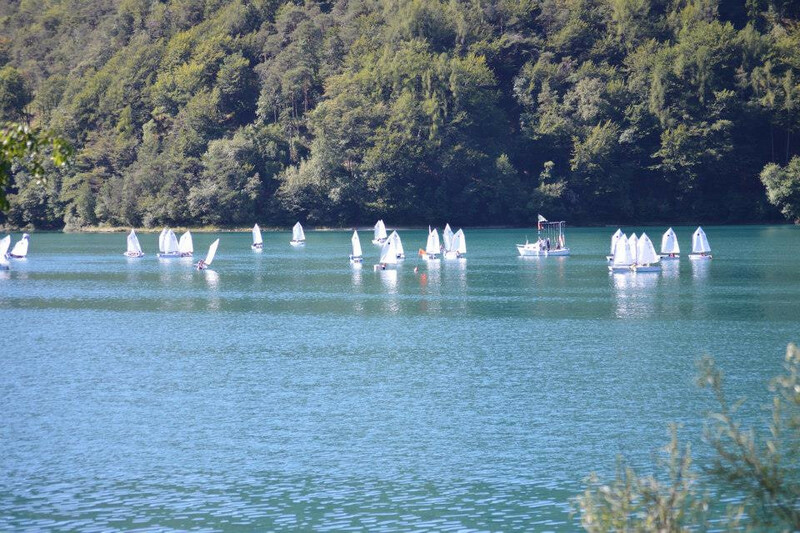 After nearly eight hours of racing, the first stage of the European Team Racing Championship was completed. Today the Race Committee ran twenty-two flights – it was a very long day, with things getting increasing difficult as the wind became light and shifty. TUR is now the team to beat. They are leading the ranking with only 2 losses, against IRL and NED. POL is second with eleven victories and ESP and ITA have won ten races each. RUS, who yesterday only won 2 matches, have improved and won 7/11 and could still make the final. Tomorrow all the teams are redistributed into two new groups, based on their ranking in the first stage. TUR, POL, ESP, ITA, CRO, SWE, GER and RUS will fight for positions 1 to 8 and GBR, FRA, IRL, BEL, NED, SLO, NOR and ISR will sail for positions 9 to 16. There is one round robin scheduled for each group. Each win will now score 1.5 points. 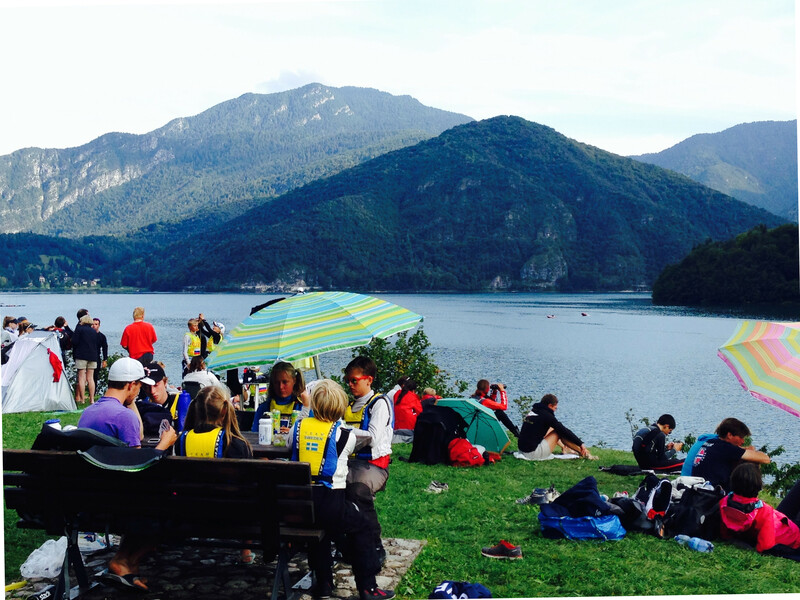 Detta inlägg postades i Team Championship och märktes Lago di Ledro, Race Day 2. After the round robin series at the European Team Racing Championship in Italy the Swedish team has qualified for the Gold Final. Congrats to all team sailors. The Gold Final starts tomorrow (Friday).